Wrisco can benefit your prefinished aluminum sheet, blank, coil, aluminum composite material, storefront/curtain wall panel, building product, sheet metal fabrication, sign board, aluminum accessory, aluminum awnings, patio cover, screen and glass room requirements. In addition, Wrisco is your source for 24 gauge painted 70% PVDF galvalume steel. Make Wrisco your vendor of choice and create colorful masterpieces with our wide spectrum of metal service center products. Thank you for your continued support and business in helping us celebrate Wrisco’s 100th Anniversary in 2016! With four nationwide sales and distribution centers, Atlanta, Chicago, Dallas and Edison, NJ, we look forward to servicing you in the future! We offer an extensive variety of aluminum products, architectural products as well as steel products and more. Regardless of what your sheet metal needs are, Wrisco Industries Inc. has the solution for you! 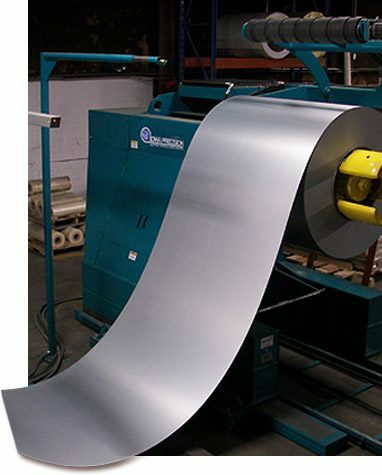 Wrisco Industries Inc. provides the largest assortment of high quality aluminum sheet metal. We have aluminum sheets for any project, both interior and exterior. As your aluminum sheet metal specialist, we carefully lay out these options for you because we understand you need specific details met. At Wrisco, we are all about going above and beyond to help you get the exact type of aluminum sheets you need. We are confident that our light in weight but heavy in duty aluminum sheet metal will provide the surface you want. Aluminum sheets can be simply created according to your needs. With the material resistant to rusting and weathering, aluminum sheet metal makes a fantastic choice for just about any project. With over 50 colors in stock, we have the best selection of painted aluminum in the industry. Our colored prefinished aluminum sheets are great for both indoor and outdoor applications because of their rugged durability and abrasion resistant coating. Regardless as to whether you will have your pre painted aluminum finishes inside or outside, our product is proven to be long-lasting. We make sure that all of our precolored aluminum sheet metals are the best when it comes to quality. 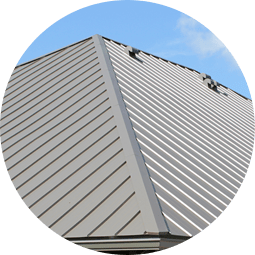 We know that if you are using our aluminum sheets outside, then you want them to be able to withstand weathering and potential damage. That’s why we assure you that the coatings we provide are equipped to handle versatile circumstances. In addition to this, we not only feel that our colored aluminum sheets should offer the same benefit of strength indoors, but that they should also be made to provide modification with their design and form. We understand you may be particular when it comes to precision and detail, especially indoors. That’s why we want to offer you a number of different options and provide you with the ability to personalize your project each step of the way. Clear Anodized Aluminum and More! At WRISCO we offer our aluminum sheet metal in a variety of colors, gauges and more! Some of our more popular options include clear anodized aluminum, clear satin anodized aluminum, bright clear anodized aluminum and bright brushed clear anodized aluminum. Here at Wrisco Industries Inc., we use a state-of-the-art two-step continuous coil anodizing process that delivers excellent color uniformity along with incredible durability. These traits make anodized aluminum perfect for exterior use because of its long lifespan and resistance to pollutants. Anodized aluminum sheets are great for brake forming and our bright anodized finishes make for a beautiful anodized finish with maximum reflectivity traits. Our anodized aluminum sheet metal is the ideal material for renovation design plans. With the level of quality so high, these anodized aluminum sheets can provide the classic, smoother appearance you long for. More than this, it is the desired characteristic of resistance to exterior damage that makes this aluminum material so attractive. Great physical and cosmetic qualities from anodizing aluminum allow for the product to transform into an even greater feature. Prepainted Aluminum 70% PVDF offers superb exterior long life durability and is excellent for sheet metal forming and fabrication. The values 70% PVDF provide are excellent color consistency and superior opposition to most damaging pollutants. The PVDF aluminum is great for your projects that need to be strong and resistant. Not only are PVDF coatings ideal for circumstances that require these traits, but our PVDF aluminum is also for projects where chemical spills and involvement are recurrent because the material can withstand strong chemicals. The protective qualities in our product extend beyond resistance though. We are proud to say we even have an incredible amount of aluminum colors. At Wrisco, we understand that your detailed projects can require a certain look and we are dedicated to providing the correct materials to assist you in creating it. Mill Finish Aluminum Sheets – Mill finish aluminum sheets come to you raw and unfinished. That is why it is called “mill finish”. Depending upon the project, mill finished aluminum is often times preferable, such as when a particular color or anodized finish is not needed. It also allows the customer to fabricate and finish the aluminum sheets as they see fit. With the typical, unfinished, natural look of aluminum, a mill finish aluminum sheet design may be what some projects and industries require. 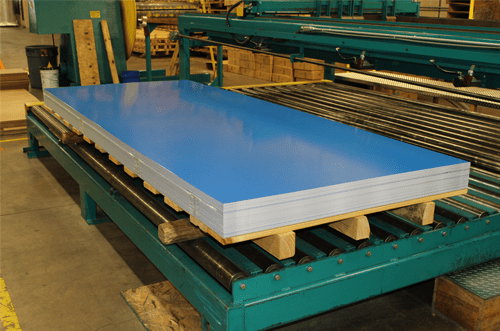 Whether you are looking for that classic aluminum appearance or prefer to add a textured or patterned look to the aluminum, aluminum mill finish sheets can be a wonderful product. 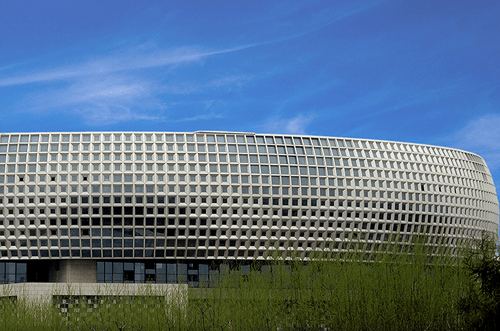 This unfinished look still remains resistant to abrasion and weathering conditions due to the exceptional characteristics of aluminum sheets. We can’t forget that this type of mill finish aluminum sheet is a trouble-free clean. Aluminum Tread Brite – We provide an assortment of different gauges and sizes of Aluminum Tread Brite sheet metal, which is great for architectural and industrial purposes. Aluminum Tread Brite can be use both indoors and outdoors. Also referred to as a diamond plate or checker plate due to its appearance, aluminum tread brite is designed with a selection of lines or diamond shapes. This aluminum tread brite surface material is exceptional for creating traction and acting as a strong exterior. It is the design that creates both the unique, visually-stunning appearance and high-quality traits including durability. 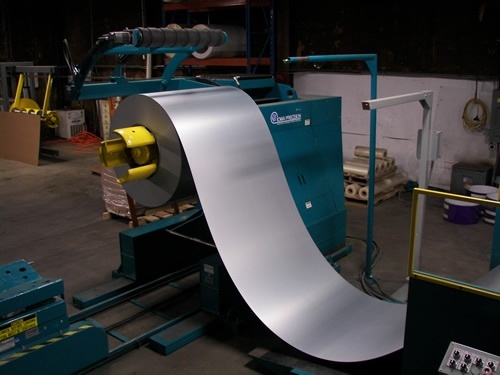 Steel Coil and Slit Coil Processing at Wrisco Industries Inc.
Wrisco Industries Inc. provides precision steel coil and slit coil processing to deliver coiled sheet metal in standard industry sizes and gauges, or fit to meet your specific project needs. We use the latest in high tech steel coil processing machinery to offer you the highest quality sheet metal produced to your exact specifications. 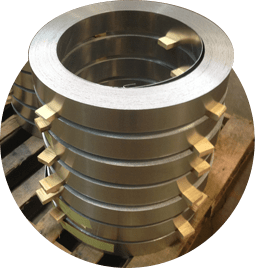 Our technicians have years of industry experience and are trained in slitting and coiling with extremely tight tolerances and short lead time. 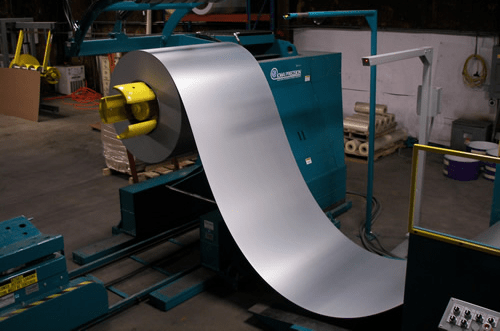 No matter what your aluminum or steel coil sheet metal needs are, Wrisco can help. 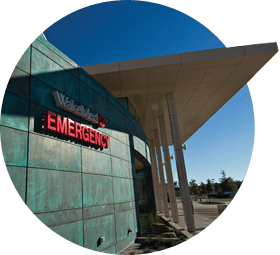 Wrisco offers aluminum composite panels (ACM) and an assortment of storefront/curtain wall panel profiles to satisfy every building cladding need. In addition, Wrisco supplies a proven, easy to use ACM fastening system to complete your project. Not only can Wrisco provide you with the aluminum and steel sheets for your project, we can also do all of the sheet metal fabrication work for you. 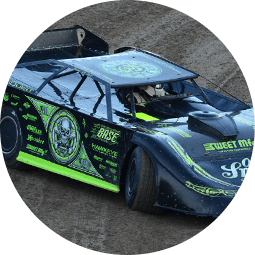 Not only do we have highly trained and experience steel and aluminum sheet metal fabrication experts on staff, we also have the high tech machinery to assist in fabricating sheet metal to your exact specifications. We use high quality machines, parts and processes to offer you the best fabricated sheet metal at extremely quick turnaround times. 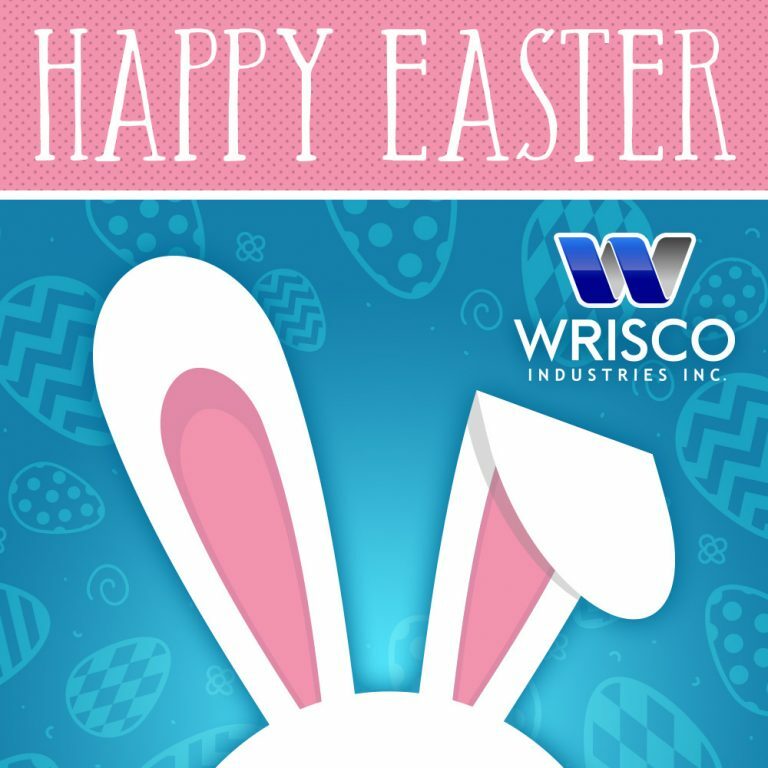 Call Wrisco Industries Inc. For All of Your Aluminum Sheet and Sheet Metal Needs Today! Wrisco Industries Inc. has worked hard to build up its reputation as one of the leaders in the sheet metal industry. We have earned our position as the industry leader by providing excellent customer service and quality products with quick turnaround. No matter what your sheet metal needs are, Wrisco wants to help. Give us a call today and see what we can do for you!